Learning English can be fun! At Edwards Language School in London there is a team of well-trained teachers who use a variety of interesting and challenging techniques in the classroom. They help to develop students' learning strategies and encourage them to become more independent learners. Many of Edwards Language School students come through personal recommendation, while some more ambitious learners become regular Edwards students attending higher level language courses annually. 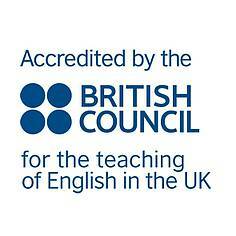 It is accredited by the British Council for the teaching of English in the UK and a member of English UK. 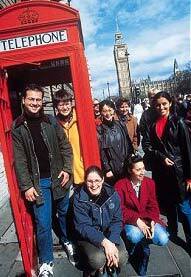 Edwards Language School also provides courses and helps with IELTS Examinations. Edwards Language School has free Internet access, a students' lounge, a collection of books available for students to use during their course, a kitchen area and a small outdoor seating area to sit and chat with other students. We provide additional services including accommodation, social programmes and textbook sales. We hope you will choose Edwards Language School for your English studies in London and look forward to welcoming you. Edwards Language School is committed to safeguarding the well being of every student at our school, especially vulnerable adults and under 18s. Download our safeguarding policy and child protection policy.